If you are interested in increasing your consumption of blueberries at then you are probably already a blueberry lover who understands the health benefits of blueberries. 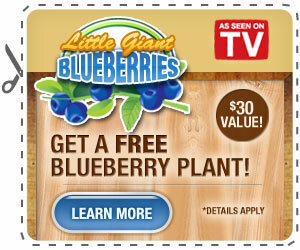 If not, then read on as we go over some of the most commonly known health benefits of blueberries. Blueberries have the highest concentration of antioxidants as compared to all other fruits. They are extremely rich in anthocyanin compounds which are one of the most powerful forms of antioxidants known to man. There are also several other extremely beneficial antioxidants found in blueberries. Antioxidants are known specifically for helping to eliminate free radicals which in turn is suggested to lower the risks for many age related illnesses including cancer and heart disease. Blueberries are known to have high amounts of naturally occurring vitamin C, vitamin K, copper, selenium, manganese, and much more. Eating blueberries is an excellent way to get the vitamins that your body needs and get them in their natural form rather than through a multi-vitamin. Many of the vitamins in blueberries are major contributors to a healthy immune system which means that eating more blueberries may mean getting sick less. Blueberries contain an antioxidant called Pterostilbene which has been shown to reduce cholesterol as well or better than prescription medications. Recent studies have shown that blueberries contain the compound Epicatechin which is know to work by preventing bacteria from attaching to the lining of bladder tissue. This allows the bacteria to be discarded during urination. Blueberries, as said before, contain the antioxidant anthocyanin which is widely known to help improve eyesight in many different ways. It has been proven to help reduce eye strain, improve night vision, and improve the speed at which your eyes are able to adjust to changes in light (going from light to very dark areas quickly). Blueberries are rich in fibers that help to improve digestion and are a way to fight constipation naturally. Blueberries are known to improve brain function, especially in older adults. It is also believed that in some cases they actually help reverse some of the age related decreases in brain function. This entry was posted on June 12, 2010 at 6:43 pm. You can follow any responses to this entry through the RSS 2.0 feed. Both comments and pings are currently closed.